A SURPRISING THUMBS UP FILM REVIEW RATING (3 out of 5 rating)! For a film titled Snakes on a Plane, it’s not likely one is to suffer any confusion over what the film will be about. In fact, this camp horror film starring Samuel L. Jackson (Freedomland) sells itself so honestly, it’s hard not to appreciate for once a film being sold as the b-movie guilty pleasure that it is. While I appreciated the pre-release buzz thanks to a cult following (or precursor?) on the internet, SoaP as it’s lovingly abbreviated, is nothing more than a simple b-movie horror that delivers exactly that; good or bad. Silly and contrived from the start, Snakes on a Plane makes no excuses as it throws the audience into the life of young Sean Jones (Nathan Philips) whose father is murdered by a mob boss. 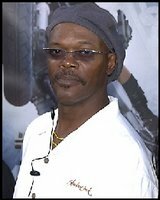 Having witnessed the slaying he’s on the run, pursued by the mob until rescued by FBI Agent Neville Flynn (Samuel L. Jackson). Flynn convinces Jones to fly to Los Angeles so he can testify against the mob boss. Just one problem; the mob is onto the plan and the passenger plane has been seeded with hundreds of snakes set to emerge in-flight. All hell is let loose with the snakes and it’s up to Agent Flynn to save himself, his witness, and the crew and passengers of Pacific Air Flight 121. Knowing what you’re getting into as an audience counts for a lot in SoaP. The marketing has for once made it clear that this is b-movie material with silly characters, a silly story, and a silly monster(s). The film makes liberal use of CGI to create hundreds of snakes of all sizes and colors and makes every effort to use the critters as frightening instruments of destruction. The vast variety of ways in which the passengers are killed by the snakes is impressive. You have people foaming at the mouth from venom, snakes slithering all over every inch of the passengers, and snake bites upon every extremity you can imagine. For the fellas, let it be said you’ve been forewarned. 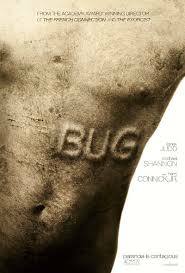 The movie is short and keeps rolling, never straying too far from the building of tension or a chilling snake attack. There are numerous scenes throughout the film that will have you jumping. The snakes are used in all sorts of tried-and-true scenes that startle the audience and we are of course treated to numerous action sequences of Sam Jackson killing snakes in a variety of ways. As long as one tries to enjoy the simple pleasures and avoids scrutinizing the plot, the ride should be fun. The film does make a few Romero-esque attempts at social commentary by briefly going into subjects like race or stereotyping, but doesn’t really give the audience much for it’s attention. The down side of the honest marketing approach taken by SoaP is that it must live up to the camp classic that it needs to be. SoaP isn’t quite the b-movie champion it could have been. Many a fan of other modern camp classic films like Tremors or Ringu will find that SoaP doesn’t match up. It is standard b-movie fare, with the distinction of a large pre-release fandom based online and Sam Jackson spouting “mother******” in a sure to be laughed at scene in the third act. Those looking to SoaP as the next guilty pleasure in classic kitschy film fun will have to wait. Then again, maybe its moderate value is the point. While not quite the b-movie cult classic it was supposed to be, SoaP delivers a campy, fun experience worthy of a cheap seat. Click here for the Snakes on a Plane movie trailer!